Our human resources pathway allows you to shape your studies towards your career ambitions and fast-track your knowledge in people management alongside the operational functions of companies. 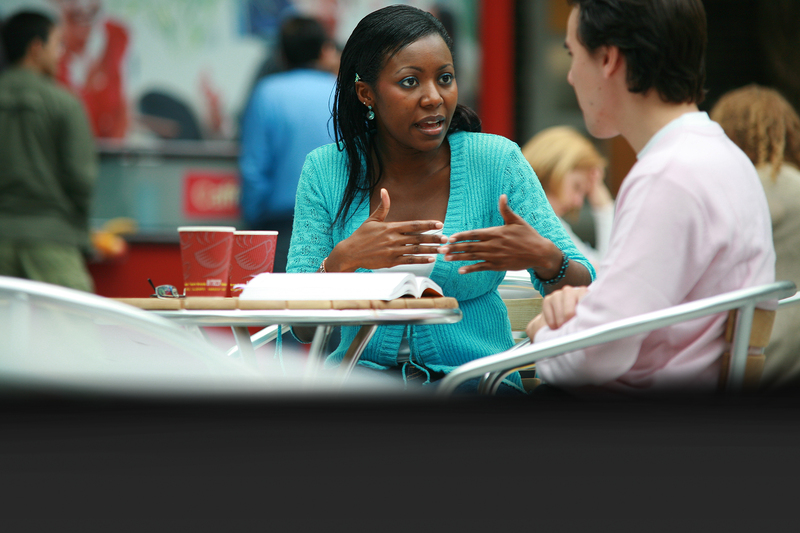 Why study BA Business Management (Human Resource Management) (Top-up) at Middlesex University? Tailored towards ambitious students who are keen to apply theory to practice in a business environment, you will learn how organisations operate, from developing strategy to styles of management. Supported by academics who bring professional expertise to their teaching practices, you will study the key functions that underpin business success. You will also gain a broad understanding of the human resource (HR) sector to understand the legal and ethical challenges that HR professionals face, and also study the techniques companies use to match skills and abilities to their business needs. The career options are broad with our one-year Business Management (Human Resource Management) top-up course. It is the ideal course choice if you already hold a business foundation or HND qualification, and are based in either the UK or overseas. What will you study on the BA Business Management (Human Resource Management) (Top-up)? You will develop key business skills, knowledge and experience in order to excel in a management career. Companies and organisations require graduates who have expert business knowledge, who can also demonstrate analytical and problem solving skills, and the professional acumen to deal with challenges in a fast-paced business environment. Through two compulsory modules you will focus on Strategic Management and, Leadership and Management Development. You will also choose one option from: Service Encounter; Facilitating Creativity in Business; Managing Individual and Organisation Change; Equality, Diversity and Inclusion; and also choose either an internship or research project. This module aims to present a broad and integrated view of strategic management in organisations and outline a range of critical perspectives on key concepts of strategy. It will introduce generic strategies at the corporate, business and functional level and provide a range of analytical models and concepts that can be applied in assessing the strategic capability of an organisation and the environment in which it operates. The primary aim of the work internship module is to provide students with the opportunity to undertake a period of work experience (minimum of 30 days) from which they will learn about, how business run in general, the organisation and the sector within which it operates as well as the key drivers of business success. The work internship will provide students with an opportunity to immerse themselves in the world of work and develop effective strategies to deal with work and organisational life. It will therefore facilitate students to develop and understanding of work, reflexivity, resilience, well-being and the link between theory and practice. Through reflection on experiential learning students will enhance their awareness of their own abilities, and attributes and undertake a journey of personal and professional development. How is the BA Business Management (Human Resource Management) (Top-up) taught? 120 UG credits at Level 4 for Year 2 entry or 240 UG credits for Year 3 entry. Credits in a HRM/ Business based degree/HND. Please apply via UCAS using this course’s UCAS code N602. How can the BA Business Management (Human Resource Management) (Top-up) support your career?